Need a Reliable Supplier for Your Part Forged in Steel? Home » News » Need a Reliable Supplier for Your Part Forged in Steel? "We are in need of a supplier for a part forged in steel, of which we attach the flat with the characteristics that we need, the estimated consumption of the same is 5000 pieces a year. Are you able to supply us with these types of parts? Could we pass a quote? Please indicate cost of the part, cost of the tooling and deadlines for obtaining samples and production parts." This is an inquiry from our customer from Argentine Republic in automotive industry. Material is forged steel. Such small part needs to be closed die forged. Close Die Forging is an inexpensive and efficient way to manufacture forged steel parts and it can also be made in many different steel alloys, such as carbon steel, alloy steel ,stainless steel ,ect., it depends on the application. At Fly Forge, we can take any design and metal and turn it into a finished component. Fly’s forging presses range in size from 200 tons to 1600 tons and our technology ranges from mechanical crank to friction screw. Heating is either gas or electric depending on the alloy being forged. Hot forging has been used to manufacture closed die steel forgings. Totals of 47 forging presses as well as other state of the art equipment are used to produce over 10,000 different components in large or small runs. Automation is used to facilitate high output rates for volume items, while difficult products with technical challenges are manufactured using manual operations. Let us add you to the list of our satisfied customers! Forge steel parts may require machining, heat treatment or a surface coating to protect from rust corrosion. Fly Forge offers these services all under one roof and saves on costs and delivery times. Fly Forge is committed to producing parts of the highest possible quality. To achieve that goal, we carefully review our customers' designs to meet the production process and alloy. We sometimes offer suggestions on alternative manufacturing processes as well as alloys when appropriate. When you rely on Fly Forge for steel forgings, you can be certain that the end result will offer a good quality part. 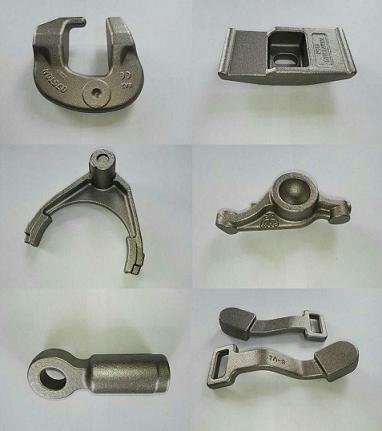 So, when you are in need of a reliable supplier for your part forged in steel, pls feel free to contact us.